Flavor:Bulk Pack Love lemon in your water but don’t love fresh lemon’sinconvenience? Well then True Lemon is for you! Made from a patented processthat cold-presses and crystallizes the lemon oils and juices, True Lemondelivers consistent fresh-squeezed lemon taste in a convenient packet. AddTrue Lemon to your water and you’ll swear you just squeezed a lemon wedge intoyour water. But don’t stop there! True Lemon is great in hot/iced teas, drinksand beverages. You can also use True Lemon for your cooking, baking andseasoning applications. Sprinkle True Lemon on food instead of salt. 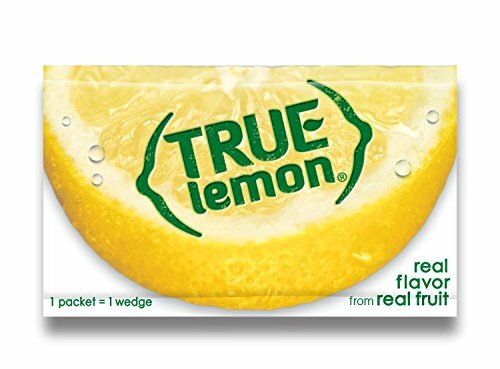 Becauseof True Lemon’s great taste and convenience, you’ll find you’re reaching forTrue Lemon all the time!